If you upgrade from VC6 to VC2008, then your project will automatically converted to the new format. 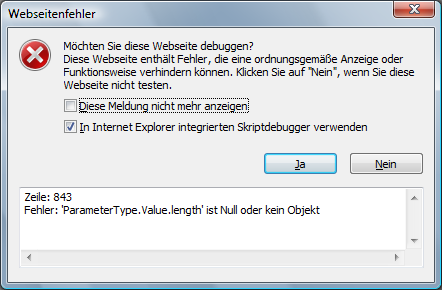 As a side-effect, it will also default to the new exception handling which breaks compatibilty to VC6. In VC6, by default the “/EHa” exception model ist activ. In VC200x and later, by default, the “/EHsc” exception model is active. This means that if you did not explicit specify the “/EHa” model, you will now automatically use the “/EHsc” model, which only catches C++ exceptions! This entry was posted in WinAPI on 2009/11/13 by jkalmbach. The comments for every check-in is only stored in the TFS version history. I searched the web for any plugin for TFS which has almost the same features… but could not find any plugin…. So I wrote my own plugin, which at least puts the check-in comments into the source-file. You just need to install this plugin and activate it in the “Check-In policy”. This entry was posted in .NET, WinAPI on 2009/07/24 by jkalmbach. This feature is implemented with an shim (in a separate article I will explain shims later). In short it works like: if an application is started, it checks the shim-database (in general %SYSTEMROOT%\AppPath\sysmain.sdb) if this application matches specific conditions. On the other hand: Never name your app anything of the above! This entry was posted in WinAPI on 2009/06/09 by jkalmbach. “This application has failed to start because the application configuration is incorrect”. The problem is that by default VC2008 uses the DLL-version of the CRT/MFC. These DLLs are not pre-installed on any OS. In the following I will explain the last option. Especially in conjunction with VS2008 service pack 1 (SP1). Because this leads to a little bit more compications in ApppLocal deployment. In general, it is very easy to deploy your application with the needed CRT/MFC DLLs. Then your application works on an other computer! The problem with VS2008 SP1 is: It overwrites all files in the “VC\redist” directory with the new version. This is not really bad. The problem is: It has a newer version number inside the manifest files. But if you compile your application with VS2008-SP1 it write the RTM-version into the application manifest! Now the version number in your application manifest does not match the version in the “new” CRT/MFC manifest. Therefore it will refuse to load these DLLs and your application cannot start. The simplest way to overcome this problem is by changing the “Microsoft.VC90.CRT.manifest” and “Microsoft.VC90.MFC.manifest” files. Replace the version attribute in both Microfot. *.manifest files from “9.0.30729.1” (or whatever version/SP you have) to the version number in your applications-manifest (which is normally “9.0.21022.8” (RTM)). Then your application will work on an OS without installing anything. in stdafx.h (at the top) or in your project settings. 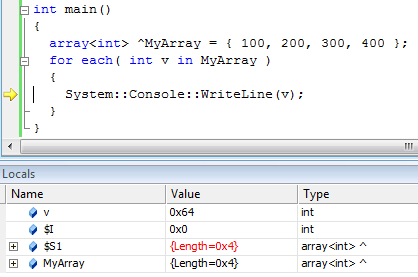 This will embed the actual CRT/MFC-version into your applications manifest (works starting with VS2008-SP1). Also, if you use new features from the MFC-feature-pack, you should always define this! Just a small note: You should be aware, that this “AppLocal” installation is not really “AppLocal”… it is only AppLocal, if the vcredist_*.exe was not installed. If the vcredist_*.exe is installed, then the DLLs from the WinSxS directory will be used. If you want to prevent this, you can do a really AppLocal deployment. A small addition: If you write .NET-apps (/clr) you still must install the .NET Framework redistributable. This entry was posted in WinAPI on 2009/05/27 by jkalmbach. I wrote a small example application on how to access the Virtual Earth SOAP-API from a native C/C++ program. This entry was posted in .NET, WinAPI on 2009/04/27 by jkalmbach. C++/CLI quiz: What is the exact callstack? Here is a small code, compiled with “/clr” (this is important). Can you tell me, what is the exact callstack inside the method “Foo”? // TODO: What is the callstack!? Any hints can be posted as comments. This entry was posted in .NET, WinAPI on 2009/04/18 by jkalmbach. You can also download the zipped reg-file. More infos is available from the VC-Teamblog. This entry was posted in .NET, WinAPI on 2009/03/29 by jkalmbach. 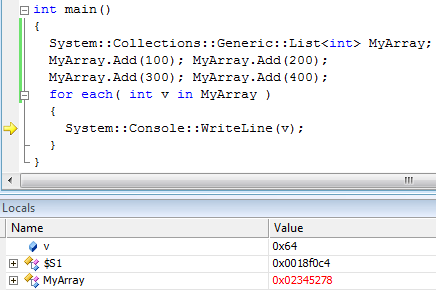 Change of Win-API semantics via application manifest! Starting with Windows 7, the application manifest is becoming more and more important. For example, a race condition in GetOverlappedResult is only solved, if you explicit specify in your manifest, that you want a correct behaviour of this function. Also a bug in CreateFileEx is only solved if you specify this in your manifest. Of course, this is in general not a bad idea. But the manifest only allows to enable all new features or nothing. There is no way to exlicit enable only one of the bugfixes. Here is just a small document of the “Windows 7 – Application Manifests – Compatibility”. This entry was posted in .NET, WinAPI on 2009/03/18 by jkalmbach. Microsoft is publishing many of their “closed” protocols on the internet. The starting site is: Microsoft Protocol Programs and Open Specifications. This entry was posted in .NET, WinAPI on 2009/03/13 by jkalmbach. If you want to batch-build VC++ projects you can either use devenv or msbuild. msbuild has many option in which you can change and log the build process. You need just to save this file with the extension .proj” and call “msbuild” from the same directory. It will then do a “Rebuild” (see “DefaultTargets”). Or you can do a “Clean” with “msbuild /t:Clean”. You can also log to a file with “msbuild /v:d /fileLogger”. Also, msbuild returns 0 if the build was sucessfull, otherwise “1”. So you can determine the result of the build in your batch-files. This entry was posted in WinAPI on 2009/03/12 by jkalmbach. Notify me only when programs try to make changes to my computer, without using the Secure Desktop. But after looking at this, I thought: How the hell did they implement this? Will there be a list of APIs which are “safe-to-call” in one of the settings? This solution only accepts changed from MS applications! This solution is one of the the worsts solution and might lead to some work for lawyers… but I hope that this is only a beta feature and will either be removed or opened for other (signed) apps. This entry was posted in .NET, WinAPI on 2009/01/21 by jkalmbach.